Father Bob Ray and myself responding to applause from the congregation at the 200th anniversary of our home parish, Saint Theresa of Avila, down in Rhodelia, Kentucky, on October 14, 2018. Our maternal grandmothers were sisters. That makes us third cousins. As children, we often spent Sunday afternoons trying to entertain ourselves. My sister Kaye (before her death this year) married his bother., Richard. We share three nephews in common. We grew up going to the same school, even though he is a year older than me. We received the Sacrament of Confirmation on the same day. He was the first to mention to me in 1957, when I was in the seventh grade, that there was a new minor seminary opening in Louisville that would take boys out of the eighth grade. It instantly piqued my imagination. In fact, I can take you to the very spot in the playground where we had the conversation. As it turned out, he decided to go to St. Romuald High School in Hardinsburg and would wait till he graduated from high school to go to the seminary. I made up my mind to go right out of grade school. The year I entered my senior year of high school at St. Thomas Seminary, he joined me for his first of two years of college at Saint Thomas Seminary. He went on to St. Mary's Seminary in Baltimore and, a year later, I entered Saint Meinrad Seminary. He was ordained a priest in 1969. I was ordained a priest in 1970. I would say he has been more of a contemplative in his ministry and I have been more of an activist - two sides of the same coin. It occurred to me that of the 200 year history, we have been around for 75 of those years! Archbishop Joseph Kurtz standing in the church where we grew up, were received into the church, made our First Confessions and First Communions, served Mass, were Confirmed and celebrated our First Masses. Saint Theresa of Avila our patron. 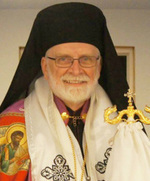 Bishop Milan and several of his priests are from Slovakia. Several of the priests and deacons are married. Bishop Milan is in the black hat and the gold pectoral cross. All the priests can wear silver pectoral crosses. Bishop Milan walks over to the Byzantine Chapel at Saint Meinrad early one morning for the Office of Matins (Morning Prayer). Martins, the second day, in the Byzantine Chapel led by one of the married Slovakian priests. Going to the Guest House Chapel for a moment of prayer. Bishop Milan and two of his recently arrived Slovakian priests. 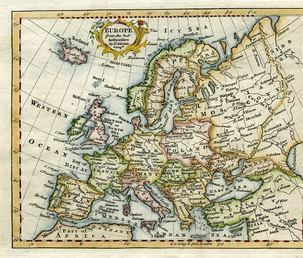 The world-wide Catholic Church consists of smaller geographical territories called “dioceses” from Latin or “eparchies” from Greek. Every eparchy/diocese is headed by a bishop, a successor to the apostles. 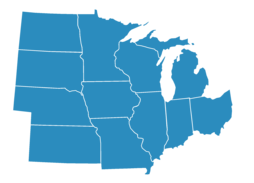 The Eparchy of Parma encompasses the geographical area of Ohio (except the eastern border counties), Indiana, Michigan, Illinois, Wisconsin, Minnesota, Missouri, Iowa, Kansas, Nebraska, North Dakota and South Dakota. Byzantine Catholics living in those states are members of our local Church of Parma. 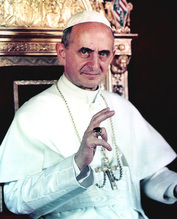 ﻿ Wishing to foster religious life among Byzantine Catholic faithful in the United States, Pope Paul VI issued the decree "Christi Ecclesia" officially establishing the Eparchy of Parma on Feb. 21, 1969. 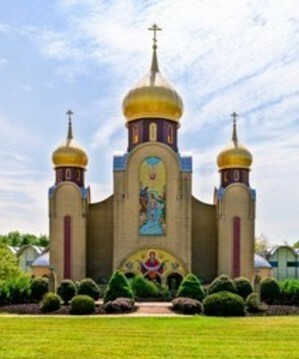 The new Eparchy of Parma encompassed the states of Ohio (except counties on the eastern border) and all states west of Ohio, including Alaska and Hawaii. His Grace, the Most Rev. Emil Mihalik (1969-1984) became our first bishop. In 1982, at the request of the American Byzantine hierarchs, the Holy See established the western Eparchy of Van Nuys, reducing the territory of the Eparchy of Parma. Having grown under the episcopacy of Bishops Andrew Pataki (1984-1996), Basil Schott (1996-2002), and John Kudrick (2002-2016), the faithful now await the appointment of the fifth bishop of Parma. Bishop John Kudrick was born on Dec. 23, 1947, in Lloydell, Pa., the son of George and Amelia Kudrick (both deceased). He attended Adams-Summerhill High School, from which he graduated as valedictorian, and attended Saint Francis College in Loretto, Pa., where he received a bachelor of arts in philosophy and in mathematics in 1970. He entered the Third Order Regular of St. Francis on Jan. 29, 1967, in the Province of the Most Sacred Heart of Jesus. After graduating from Saint Francis College, he continued his studies for the priesthood at St. Francis Seminary in Loretto, from which he received a master of divinity degree in 1975. He also studied at Indiana University of Pa. and received a master of science degree in mathematics in 1973 and pursued and obtained a master of science degree in computer and information science from The Ohio State University in 1977. The bishop was ordained to the priesthood on May 3, 1975, and began serving on the mathematics and computer science faculty of Saint Francis University. In 1978, he assumed responsibilities for university computer services. From 1976 to 1980 he was assistant director of postulants for his Franciscan order. As a Franciscan priest, he also assisted in parishes of the Archeparchy of Pittsburgh. He became a priest of the archeparchy in 1987 and served in several Pennsylvania parishes – St. Nicholas, Nanty Glo; St. Mary, Windber; SS. 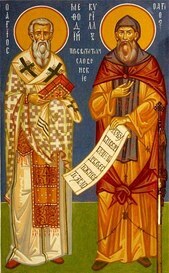 Peter and Paul, Jerome; SS. Peter and Paul, Patton; St. Anne, Clymer; Holy Spirit, McKees Rocks; SS. Peter and Paul, Duquesne; and SS. Peter and Paul, Braddock. From 1998 until his episcopal ordination, he served as protopresbyter of the Cathedral of St. John in Munhall, Pa. In 1998, Metropolitan Archbishop Judson Procyk ordained then-Father John as the first archpriest of the Archeparchy. Following the death of Metropolitan Judson, then Archpriest John was elected administrator of the vacant Archeparchy of Pittsburgh on April 24, 2001, and served in that capacity until the installation of Metropolitan Basil Schott as archbishop on July 9, 2002. Bishop John was ordained and installed as bishop of Parma on July 10, 2002, at the Cathedral of St. John the Baptist in Parma, Ohio. The ordaining bishop was Metropolitan Basil Schott, with Bishop Andrew Pataki and Bishop William Skurla assisting. On May 7, 2016, the Holy Father, Pope Francis, accepted the retirement of Bishop John and appointed Metropolitan Archbishop William Skurla of the Archeparchy of Pittsburgh as the Apostolic Administrator of the eparchy until a new bishop is selected and enthroned. Who are we as Ruthenian Byzantine Catholics? IT CANNOT BE THAT WAY WITH YOU! James and John came to Jesus and said to him,"
If Jesus were to have been born in our day, instead of 2,000 years ago, he might have graduated from Bellarmine University’s W. Fielding Rubel School of Business. I recently retired from there after 17 years of weekend campus ministry. As a graduate, he might have used a management consultant to help him get his ministry off the ground and to help him choose his twelve apostles. If so, he may have submitted the resume' of would-be apostles to that consultant for feedback. Here is how that feedback might have sounded. I have referred to this funny consultant report several times over the years. This little fictitious "consultant report," in which Judas is picked as showing the most potential as an apostle" makes a very important point. One of the most interesting things about God is that "God does not see as we see. We see people's externals, but God sees into their hearts." The more familiar you are with the Scriptures, the more you realize that God is always picking the weak - the incompetent, the unqualified, the least, the lost and the loser - and then makes them strong in carrying out his work. These choices are not isolated events. They happen, over and over, again. In today's gospel, we have two of these "least likely to succeed personalities" in today's gospel – James and his brother John. There are many, many more! Second, there is Paul! For years, Paul had been the lead bounty-hunter in tracking down Christians for execution. Smug with righteousness, he felt as if he was doing God a favor by ridding the world of these heretics who had no respect for the old-time religion. He had even held the coats of those who stoned Saint Stephen to death. One day, on his way to round up some more for execution, God knocked him off his proverbial "high-horse" and called him to make a complete u-turn in his thinking. Instead of persecuting Christianity, he was called to be its biggest promoter! What a choice! Fourth, there is James and his brother John. Like Peter and Andrew, they were fisherman. They were men of the sea. In the gospel today, we see James at his worst. In the Gospel of Mark, written earlier than Matthew, James and John ask Jesus for the best seats in his new kingdom. As time went by, the writers of the Gospels could not bring themselves to have such tacky and self-serving words coming out of the mouths of the exalted apostles, so Matthew changes the story and has the request coming out of their mother’s mouth. Blaming women has been a favorite technique of men since Adam blamed Eve! We see James and John at their worst in today’s gospel. They are climbers, ambitious self-seekers and a sneaks. Again, we see in their lives that yet again “God choses the weak and makes them strong.” Jesus evidently saw something in them because they end up in the inner circle. Along with Peter and John, they witnesses the Transfiguration, some of the miracles including the raising of Jarius’ daughter rand the agony in the garden. Beheaded, James was the first the apostles to give his life. His death is the only biblical record we have of the death of one of the Apostles. Let me speak directly to those of you who struggle with your self-image, with feelings of unworthiness, with thoughts of never being good enough and with being labeled, rejected or discriminated against. The world may be dealing you a bad hand today, you may have been passed over and put upon in the past, you may feel that you will never be good enough or can never measure up, but also know this: God may have his eye on you right now, he may have a mission for you that he is about to announce! He may be ready to take you to places you cannot even imagine. Your pain and suffering could be part of some grand plan! You may have been learning what you need to know for the job that God has always had in store for you. Think of James, John, Peter and Andrew fishing on the sea of Galilee. Think how God took them, in their weakness, and tuned them into powerful witnesses. Just as God took them, fragile clay pots as they were, and filled with his great treasure, God has done, and can do, the same with you. When God calls you, don’t be afraid of your weaknesses, just be ready to answer, with Isaiah, "Here I am, Lord, send me!"